Strongest performing SAP Global Platinum Reseller United VARs achieves business volume of over USD 100 million for the first time / Family growth: new members strengthen local presence in Southeast Asia / Nine times awarded at SAP Pinnacle Awards 2018 / Three Pinnacle Awards for Seidor and B4B Solutions / New partners expand the United VARs portfolio / More than 150 customers with SAP S/4HANA / ERP increasingly turning the cloud into a top executive dialogue at the United VARs annual conference in Walldorf / Digital transformation is accelerating. 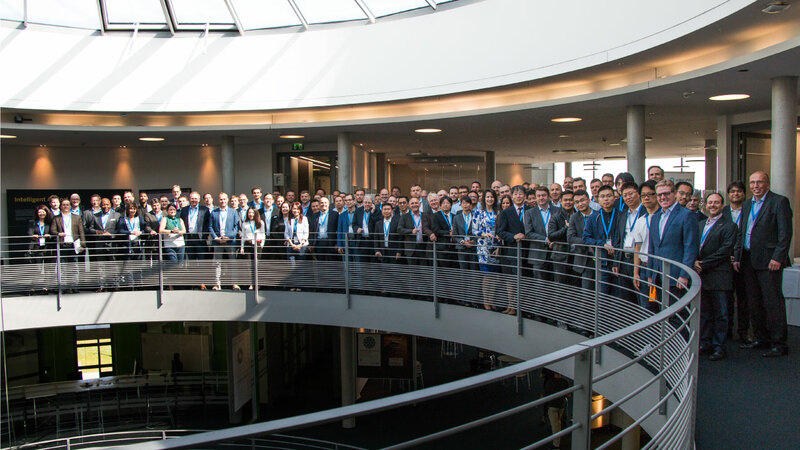 Copenhagen, 26 April 2018 – With a net business volume of USD 103.1 million (SAP software licenses plus SAP cloud subscriptions), the alliance of leading IT consulting firms United VARs is one of the strongest performing SAP Global Platinum resellers of all times. “Our once loose Trusted Advisor Community is increasingly developing into a powerful business platform, perfectly suited for the transformation projects of globally active medium-sized companies,” Detlef Mehlmann, United VARs Director (Chairman), confirmed to over 100 visitors at the United VARs Annual Conference recently held at SAP in Walldorf. The United VARs alliance, which now has 45 partners in over 90 countries, meets here once a year for Top Executive Sessions. The United VARs family is currently growing, with the most growth taking place in the fast-growing economic regions of Southeast Asia. In addition to TeamIdea (Russia), three out of four new United VARs partners are located in “APJ” (Asia Pacific Japan): MIT Myanmar Information Technologies (Myanmar), AXXIS Consulting (Singapore), and Soltius (Indonesia). The fact that United VARs has the strongest local member companies on board all over the world is also demonstrated by the presentation of the SAP Pinnacle Awards. These global awards are reserved for leading SAP partners who excel in development and growth and who are committed to customer success. United VARs members were awarded nine times as “Partner of the Year” winners and finalists, with B4B Solutions / Austria (Hybris) and Seidor / Spain (Cloud, Analytics & Insight) as winners, as well as 7 finalists which were honored including Oxygen / Australia (Database and Data Management), Seidor / Spain (SuccessFactors), B4B Solutions and Seidor (SAP Business ByDesign), Illumiti / Canada (Cloud), and United VARs itself as SAP Global Platinum Resellers of the Year. It is no secret that the digital transformation, with its disruptive forces, can endanger even well-established companies. Successful turnarounds are far less well known. One example is Nokia. As HMD Global, the radically repositioned Finnish smartphone manufacturer is constantly sending out signals of success. The driving force behind this impressive turnaround is a new IT strategy with a dramatic increase in agility and speed: ERP from the cloud. Within a few months, the Cloud ERP solution SAP Business ByDesign was introduced at HMD’s headquarters. Only 6 months later, the global roll-out to 33 countries was also completed under the leadership of United VARs and its member companies (Sofigate/Finland, InCloud Solutions/UK, B4B Solutions/Austria, Acloudear/China, and Seidor/Spain).